The 2016 AUA Annual Meeting Basic Sciences Symposium titled "The Human Microbiome in Urologic Health and Disease" was recently published in a special issue of the Annals of Translational Medicine. Edited by the symposium's Program Committee Chair Jill A. Macoska, PhD and Program Committee Member Daniel A. Shoskes, MD, FRCSC, this special issue attests to the tremendous quality and impact of the annual Basic Sciences Symposium. The special issue, titled "Focus on 'The Human Microbiome in Urologic Health and Disease,' dedicated to a symposium sponsored by the American Urological Association Office of Research," provides both a primer and advanced reflection of the many roles of the microbiome, both bacterial and fungal, in the function and dysfunction of the lower urinary tract. As discussed in this issue, the microbiome is ubiquitous, and is found even in the once-considered-sterile urinary system. Moreover, this bacterial and fungal 'occupation' of the urinary tract is multi-faceted, playing protective roles by outcompeting pathogens for necessary nutrients, producing antimicrobial substances, stimulating the immune and neuronal systems, and maintaining homeostasis of the mucosal environment, as well as playing the known deleterious roles associated with pathological infection. As briefly summarized below, several articles spanning a wide range of microbiome-related topics are presented in this special issue. Hans C. Arora, MD, PhD et al. explore the composition and roles of the gut and urinary microbiomes in chronic prostatitis/chronic pelvic pain syndrome (CP/CPPS). Although the absence of any identifiable bacterial infection is a hallmark of CP/CPPS, recent studies have detected bacterial ribosomal RNA in both chronic bacterial prostatitis and chronic non-bacterial prostatitis, and have correlated microbiome dysbiosis with symptom scores, disease severity and disease sub-type. These findings present potential new diagnostic and therapeutic targets in CP/CPPS patients. Andrew L. Schwanderer, MD and Alan J. Wolfe, PhD examine the association between bacteria and urinary stone disease (USD). The high rate of urinary tract infection (UTI) in urinary stone patients and multiple case series of culture-positive urinary stones, including stones composed of CaOx or CaPhos, associate microbes with stone formation. Urinary stones is also the topic of a review by John C. Lieske, MD on the utility of probiotics for prevention of urinary stones. In this review, Dr. Lieske discusses data showing that the intestines of animals on a high oxalate diet contain diverse communities of microorganisms that can function together to degrade and detoxify a large oxalate load. The USD theme is extended by Marguerite Hatch, PhD who presents a perspective on how the gut microbiota can impact urinary oxalate excretion in the context of hyperoxaluria, a major risk factor in kidney stone disease. This perspective delineates mouse model data suggesting that oxalate degrading bacteria, particularly Oxalobacter, play key roles in regulating urinary oxalate concentrations. The female urinary microbiome is the subject of a review by Linda Brubaker, MD and Wolfe, who consider the associations between female urinary microbiota (FUM), urinary health and common urinary disorders. Though research on the FUM began just five years ago, it is becoming clear that that microbial dysbiosis is a useful concept for the consideration of human urinary disorders, including asymptomatic bacteriuria (ASB), UTI and certain forms of urinary incontinence (UI). Challenges associated with studying the microbiome are presented by Yige Bao et al. These challenges arise primarily from the sensitivity of the methodologies employed and the large potential for contamination when working with low abundance microbiomes. The 'flip' side of the bladder-microbiome equation is examined by Jianxuan Wu et al., who described the diverse antibacterial activities of bladder epithelial cells (BECs), particularly in response to challenges from the gut microflora that promote UTIs. As detailed in the review, BECs do not passively permit microbial infection; rather, extracellular and intracellular actions are activated by TLR4 and other pattern recognition receptors (PRRs) in BECs that provoke the immune system to combat bacterial invasion and expulse invading bacteria back into the bladder lumen following infection. The fungal microbiome, or mycobiome, is the subject of a review by A. Lenore Ackerman, MD, PhD and David M. Underhill, PhD. They examine the composition and functions of fungi, rather than bacteria, in the human urinary tract. They demonstrate that the mycobiome is an important but understudied component of the human microbial ecosystem. Lastly, this issue also presents an intriguing editorial from Henry L. Schreiber et al. entitled "One size doesn't fit all: unraveling the diversity of factors and interactions that drive E. coli urovirulence." This editorial focuses on the critical gaps in our understanding of the pathogenic and non-pathogenic colonization of uropathogenic Escherichia coli (UPEC) in different habitats in the host, and describes a new perspective on UTI susceptibility that better reflects the complexity of this disease. The complete special issue can be found on the Annals of Translational Medicine website. The AUA Research Grants and Investigator Support Committee recently partnered with members from the AUA Leadership Program to begin to assess the physician-scientist workforce and identify trends in attitudes toward research opportunities to improve AUA and Urology Care Foundation support for the urologic research workforce. A quantitative electronic survey was developed and distributed to U.S. resident and fellow AUA members, as well as urology residency program chairs and directors. While the response rate for residency program chairs or directors was 28%, the corresponding data provided an excellent sample to begin to understand departmental trends that impact the urologic research workforce and shed light on new opportunities for enhanced support. Some highlights of the survey findings are shared below. Nearly 90% of program chairs or directors indicated that having urology residents perform urologic research is very important, with 84% responding that there should be three months or more dedicated to it. While this reflects a positive attitude towards the importance of research, the survey highlighted some of the various challenges in realizing that goal. 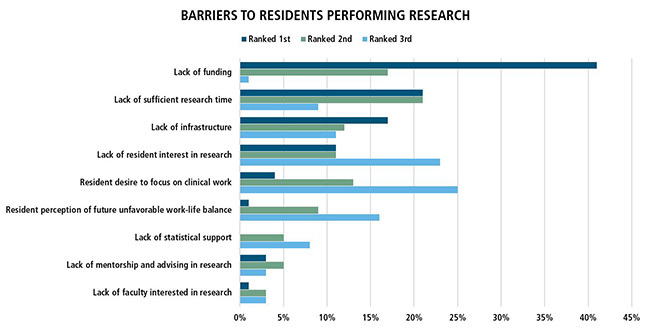 Program chairs or directors were asked to rank the top three barriers preventing residents from conducting research during residency training. Nearly half of the respondents indicated that a lack of funding was the primary barrier, followed by lack of sufficient protected research time and infrastructure (e.g., availability of mentors, accessibility of coursework, lab space, etc.). For junior faculty, availability of resources appeared to be partly responsible for these investigators choosing to transition away from conducting urologic research. When program chairs or directors were asked to indicate the top three factors for this transition, an overwhelming majority (~97%) reported that the salary disparity between research and non-research careers was responsible. This was again followed by a lack of funding and protected research time. Finally, when asked to indicate when resources are most needed to enable faculty to conduct research more effectively, 87% of program chairs or directors identified the stage of junior faculty transitioning to independence to be the most critical. These data provide a critical entry point into developing targeted strategies to improve the urologic research workforce. Moreover, they align with the AUA and the Urology Care Foundation's current portfolio of funding opportunities. In addition to continually improving the Rising Stars in Urology Research Award Program—which directly addresses the salary disparity and transition to independence support—the AUA is also excited to announce its newest research opportunity: the Physician Scientist Residency Training Award Program. This program is designed to grow the population of surgeon-scientists who can effectively lead robust research programs, successfully compete for independent research funding and more effectively engage with basic scientists. A program rare in the field of urology, but common in other medical and surgical fields, the program supports three years of research training embedded within residency. 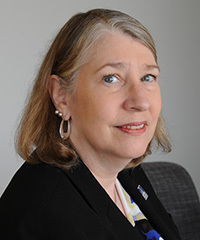 The mission of the AUA Research Grants and Investigator Support Committee, a subcommittee of the AUA Research Council, is to "develop and implement urologic grant funding mechanisms and research training, networking, and other investigator support programs that shape the brightest and most talented urologic researchers for long term success." The Committee is chaired by Linda Baker, MD and Hari Koul, PhD serves as vice-chair. Members include Chris Barbieri, MD, PhD; Peter Black, MD; Timothy Boone, MD; Natasha Kyprianou, PhD; Daniel Lin, MD; Ganesh Palapattu, MD; Kelly Parsons, MD; Ganesh Raj, MD; Larissa Rodriguez, MD; and John Taylor, MD. The Leadership Program members participating in this study were Jonathan Bergman, MD, MPH; Hillary Copp, MD, MS; and Sean Stroup, MD. David F. Penson, MD, MPH is a highly-accomplished health services and outcomes researcher at Vanderbilt University, and this year's Urology Care Foundation Distinguished Alumnus Awardee. Having completed his Research Scholar Award in 2000, he is currently Chair of the Department of Urologic Surgery and the Paul V. Hamilton, MD and Virginia E. Howd Professor of Urologic Oncology at Vanderbilt University. Dr. Penson is also the director of the Center for Surgical Quality and Outcomes Research at the same institution. What does this recognition [Urology Care Foundation Distinguished Alumnus Award] mean to you? "This is a real honor for me. I have always felt an incredible debt of gratitude to the AUA and the Urology Care Foundation for giving me a Research Scholar Award all those years ago—it truly jumpstarted my career as a surgeon-scientist. For me, this award tells me that the AUA and the Foundation feel that I have made good on their investment and that's very important and meaningful to me." What kinds of research studies are you currently engaged in? "My primary research interest at this point is focusing on exploring the comparative effectiveness of various therapies for localized prostate cancer, specifically as measured using patient-reported outcomes, like health-related quality of life. I continue to run two large population-based studies, the Prostate Cancer Outcomes Study (PCOS) and the Comparative Effectiveness Analysis of Surgery And Radiation (CEASAR) study, primarily designed to address these questions. I also maintain an interest in educating the next generation of patient-centered outcomes research (PCOR) and currently lead a K-12 award from the US Agency for Healthcare Research and Quality (AHRQ) that supports five junior faculty from various disciplines who are being trained as PCOR investigators." Briefly describe some of the work you did as a Research Scholar. "As a Scholar, I completed a number of different projects using different health services research methods. Working with my primary mentor, Peter Albertsen, MD, we used a population-based cohort of prostate cancer survivors in Connecticut to compare survival outcomes following surgery, radiation or watchful waiting in localized prostate cancer. I also studied patient preferences for various health states following treatment for localized prostate cancer, which helped me to learn about utility theory as used in health services research. Finally, I carried out a cost-effectiveness analysis of treatments for varicocele, which was published in the Journal of Urology." How did being a part of the Research Scholars Program influence where you are today? "The Program played a critical part in helping me learn health services research methods, which I continue to use to this day to do research. Perhaps more importantly, it introduced me to a number of senior urologic researchers, many of whom had also been research scholars before me, that have served as role models for me as my career has progressed. For example, Mark Litwin, MD, who has been one of the strongest influences in my career, was also a Research Scholar and learning from him as part of the program has been invaluable to me." Describe your experience working with a mentor. What insights did you gain into research that improved your career? "I have had a number of truly outstanding mentors throughout my career to date. As a Research Scholar, I was primarily mentored by Peter Albertsen, MD. Peter was (and still is) an outstanding mentor and I learned research methods from him that I still use. Perhaps more importantly, however, he taught me how to build a research program and really helped me to recognize the importance of work-life balance (which perhaps I still haven't quite mastered, but that's not for lack of effort on Peter's part). One of the great things about working with Peter is that he didn't "spoon feed" me work. He allowed me to pursue my own research interests and develop my own ideas. Finally, Peter taught me that if I do good and honest work, I should never be afraid to stand by my data even if others don't like the findings. In the end, good research will always carry the day." Do you have any final thoughts about the Urology Care Foundation Research Scholars Program? "One of the things I think speaks volumes about the Research Scholars Program is its willingness to fund urologic outcomes research long before it became "popular." Urologic health services research would never have developed as quickly as it did without the help of this program and its support of people like me, early in our careers." Petra Popovics, PhD is currently a Research Scholar at the Endocrine, Polypeptide and Cancer Institute, Veterans Affairs Medical Center in Miami, where she is investigating the role of inflammation in the pathogenesis of benign prostatic hyperplasia. She is studying how the inflammatory environment triggers a process called epithelial-to-mesenchymal transition, which may contribute to prostatic enlargement by increasing the stromal compartment of the prostate. Her studies have revealed that growth hormone-releasing hormone (GHRH), a hypothalamic factor regulating the production of growth hormone in the pituitary, is also upregulated in the inflamed prostate. Specific antagonists blocking the binding of GHRH to its receptors showed anti-proliferative and anti-inflammatory effects and reduced inflammation-induced prostatic growth. For these studies, she adapted and further developed two previously-described animal models of non-bacterial prostatic inflammation in mouse and rat. Dr. Popovics work has resulted in multiple publications, including a first-author manuscript in the Proceedings of the National Academy of Sciences of the United States of America. She has also been selected for podium presentations at several regional and national meetings. The importance of a strong mentoring team—a key review component for the Urology Care Foundation Research Scholar Award—cannot be overstated, urges Dr. Popovics. She notes that this relationship has been crucial for her success and development as a urologic researcher. Moreover, her experience has helped direct her interests to basic urologic research. Dr. Popovics is mentored by Nobel Laureate Dr. Andrew V. Schally and a previous Outstanding Graduate Scholar, Dr. Ferenc G. Rick. "The Urology Care Foundation Research Scholar Award opened a new chapter in my research career, and I plan to build on these studies to establish independent research. 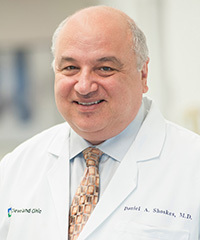 I believe this program benefitted many of today`s most successful urologic researchers and deeply affected their decision to pursue a career in urologic research," writes Dr. Popovics. Following the completion of her Research Scholar Award, Dr. Popovics will seek follow-on funding to continue building on her findings in order to establish herself as an independent investigator. She aims to fully explore how chronic or recurrent inflammation triggers fibrosis, identify other growth factors that contribute to inflammation-induced epithelial proliferation and test multiple mono- or combination-therapies for the inhibition complications resulting from inflammation. Dr. Popovic's two-year Research Scholar Award was sponsored by the AUA Southeastern Section and the Urology Care Foundation. Jason P. van Batavia, MD is a second-year fellow in pediatric urology at The Children's Hospital of Philadelphia. He is the recipient of this year's Urology Care Foundation Outstanding Graduating Scholar Award for his achievements as a one-year Research Scholar Award to help fund his current research. Co-mentored by Stephen Zderic, MD and Rita Valentino, PhD, this award has allowed him to work on a project aimed at eliciting the interaction between the brain and bladder in a murine model of social voiding dysfunction. Titled "Using Transgenic Murine Models and Optogenetic Activation of Barrington's Nucleus to Reverse and Recapitulate the Social Stress Induced Voiding Phenotype," Dr. van Batavia's project focuses on using optogenetic technology to manipulate target neurons in the area of the brain that is thought to function as an on/off control for volitional voiding. By stimulating these neurons at different frequencies, he has been able to increase voiding frequency with smaller bladder capacities at low frequencies while causing the mouse to decrease voiding frequency, putting more time between voids and with much larger voids. Longer-term studies with two weeks of stimulation are currently ongoing and preliminary data suggest that these effects persist and can lead to bladder changes. Dr. van Batavia is continuing to tease out the specifics of how manipulating the pontine micturition center (PMC) changes voiding and what changes are occurring in the brain itself. Some of his future goals include using optogenetic techniques to visualize neuronal activity in the PMC from cortical areas thought to influence volitional voiding. He also plans to target important micturition areas of the spinal cord and peripheral nerves in an attempt to manipulate voiding downstream of the PMC. This research has high translational relevance to clinical urology particularly because the potential of therapeutic neural stimulation is gaining recognition. Moreover, this research takes advantage of innovations in transgenic animal models and optogenetics that have been used to uncover circuitry underlying behavior. By furthering our knowledge and understanding of voiding and specifically the mechanism by which the social stress induced voiding phenotype is "remembered" and can be "forgotten" via neurons in the PMC, this project has the potential to impact a significant portion of patients, particularly children, with lower urinary track disorders. Furthermore, this project may lead to a better understanding of the mechanisms behind urinary retention, a common problem encountered clinically, especially in post-operative patients, for which the only real successful treatment widely available is urethral catheter drainage. According to Dr. van Batavia, this mentored training opportunity has had a big influence on his career in terms of re-confirming the importance of basic science and translational research. The need for well-thought-out and rigorously tested hypotheses in urology and especially pediatric urology has never been higher. The difficulty of securing NIH funding, industry, and independent grants at this time can be a huge hurdle that turns off many prospective physician-scientists from embarking on a career trajectory that marries clinical and research interests. He writes, "The fact that my mentor has had so much success in his career as a physician-scientist, and has helped me learn from his successes and failures, has been an amazing benefit for me so early in my career." Dr. van Batavia will continue this research and expand the use of optogenetics to both cortical and spinal cord targets. He was recently awarded an NIH KL2 Mentored Career Development Award through a Clinical and Translational Science Award (CTSA) at the University of Pennsylvania through the Institute for Translation Medicine and Therapeutics (ITMAT). This award will afford him 80% protected time over the next two years to continue dedicating his time and efforts to this and other translational research projects. In addition, he will take graduate classes over the next two years to obtain a Master of Science in Translational Research. Beginning in early May, the AUA will accept Program Site applications for the new Urology Care Foundation Physician Scientist Residency Training Award. This award program is designed to grow the population of surgeon-scientists who can effectively lead robust research programs, successfully compete for independent research funding, and more effectively engage in basic and translational research. Eligible urology residency programs are invited to apply as a Program Site. Approximately three Program Sites will be selected to participate in an early, special residency match program with eligible medical students to fill one trainee position to begin residency training in July 2019. After completing the first two years of clinical training, the matched resident will matriculate into the three-year research training program, followed by completion of the final three years of clinical training. The Urology Care Foundation will provide $75,000 per year ($225,000 total) to support the trainee during each of the three years of research training. Institutional cost-sharing is required. The training will be focused on urologic research areas typically underfunded for surgeon-scientists (e.g., basic science, bio/tissue engineering, benign disease, bioinformatics, etc.). This award is made possible by the generous support of Dornier MedTech, a long-time supporter of the Urology Care Foundation Research Scholar Award Program. A Letter of Intent is required and the Program Announcement will be available for download at AUAnet.org in early May. The AUA is also hosting an informational Webinar for interested residency programs and participants. The Webinar will be held on May 31, 2017 at 2–3 p.m. EDT. Register for the Webinar today! The AUA is now accepting pre-applications for the 2017 Urology Care Foundation Rising Stars in Urology Research Award. These awards provide a total of up to $200,000 for up to five years of supplemental salary support to ensure that the salary compensation for those committed to careers in urologic research remain competitive with that of their clinical urology peers. Pre-applications are mandatory for this year's competition and are due on May 25, 2017 at 5:00 p.m. EDT. Have at least two full years remaining on the period of performance for the career development award. For more information on how to apply, visit our website. As background, in 2004, the AUA Board of Directors approved the establishment of a special taskforce to gather data on how to increase successful NIH R01 applications from urology physician-scientists. By the end of the year, the taskforce proposed a business plan to provide appropriate salary compensation to support these investigators during the critical transition-to-independence phase, and made this support contingent on a career development award. Following AUA Board approval and support from the Urology Care Foundation (formerly AUA Foundation) and Astellas Pharma, US, Inc., the Surgeon-Scientist Award and Rising Stars in Urology Research Award were created. The two awards provided funding for urology physician-scientists from 2005 through 2011. The Surgeon-Scientist Award, supported by the Urology Care Foundation, was restricted to NIDDK or NCI career development awardees while the Rising Stars in Urology Research Award, supported by Astellas, was available to a broader range of career development awardees. Astellas continued to provide funding for this award mechanism until they partnered with a generous donation of $1.5 million to the Urology Care Foundation to establish an endowment to fund the award in perpetuity, with endowment support beginning in 2014. The Urology Care Foundation Rising Stars in Urology Research Awards are now funded by this endowment as well as additional support from the Frank and Marion Hinman Urology Research Fund. A total of 24 physician-scientists have been supported through this initiative since 2005, all of who continue to conduct impactful urologic research. These researchers have gone on to publish an average of over 50 manuscripts as well as many holding a variety of institutional and departmental leadership positions. Urinary stone disease (USD) is an extremely common and severely painful condition causing substantial utilization of healthcare resources. Urinary stones should not be considered isolated acute symptomatic events. Instead, they should be evaluated as a chronic metabolic condition that may cause substantial future chronic morbidity. USD traditionally is more common in men than women, and less common in people who are Hispanic or African American. However, prevalence is rapidly increasing in children and non-White populations. Since 1994, the number of people who get urinary stones has almost doubled! The number has risen from 1 in 20 people, to now 1 in 11 people. Create data and biological samples for future investigations. Although there is indirect evidence that increased fluid intake, causing increased urine output, is a cheap and effective secondary prevention strategy for urinary stones, how much to drink and the ideal urine output is still controversial. More importantly, it is very difficult for recurrent stone formers to meet the needed high urine output. After being awarded funding, USDRN investigators immediately started working and developed their first protocol: Prevention of Urinary Stones with Hydration (PUSH) study. This is a large randomized clinical trial where 1,642 study participants will be randomized to a control or intervention arm. In both arms, participants will receive a "smart" water bottle that records the amount of water consumed. While the control arm will receive usual care, the participants in the intervention arm will receive financial incentives and structured problem solving. The primary endpoint will be symptomatic stone events at the end of two years. During the PUSH study, biological samples, including whole blood, serum, plasma, urine, stool and kidney stone samples (if available), will be collected from study participants and deposited at the NIDDK Central Repository for future access by the broader research community. The study dataset will also be available to researchers through the NIDDK Central Repository after the trial is completed. Another important goal of USDRN is to better understand and mitigate ureteral stent-associated pain and symptoms. Most patients who receive a ureteral stent after ureteroscopy or other procedures develop severe bothersome symptoms and pain. USDRN investigators are already working on a cohort study to better understand why most patients develop such symptoms. NIDDK is highly interested in providing the resources (via form datasets or various biological samples) collected through the multicenter networks and consortia that it supports available to the broader scientific community for further research. Also, collaboration between network investigators and the broader scientific community is expected to continue to expand, lead to ancillary studies, and offspring research ideas--serving the goal of improving urologic health through research. In addition to now being mobile friendly, the NIDDK Research Resources webpage was recently updated. This webpage highlights NIDDK publically-supported resources, services, datasets and studies available to researchers to accelerate the rate and lower the cost of new discoveries. The site also includes current funding opportunities with sort and filter options, information on the funding process and a schedule of NIDDK meetings and events. View now! The importance of patient perspectives in research cannot be overstated, and collaborating with these groups significantly boosts the visibility of advocacy priorities at both local and federal levels. The Patient Advocacy Hub, held at the AUA Annual Meeting, promotes collaboration among urologic patient advocacy organizations, physicians and researchers in order to effectively promote the urgency for research funding that advances urologic treatments and medical discoveries. Since the inception of the Patient Advocacy Hub in 2013, the Urology Care Foundation, in conjunction with the AUA Research Council, has played an integral part in demonstrating the valuable role that patient advocacy organizations play in advancing urologic research initiatives, which ultimately secure funding for groundbreaking research proposals that can lead to lifesaving discoveries. Many of our key research advocacy partners including Action to Cure Kidney Cancer, Bladder Cancer Advocacy Network, Interstitial Cystitis Association, and United Spinal are participating in this year's Advocacy Hub to lead discussions and host meetings with members of the urologic community that focus on collaboratively achieving research priorities. The influence of these research advocacy organizations, in partnership with the Urology Care Foundation's strategic vision to advance urologic research, creates movement towards mutual priorities such as securing funding from government agencies like the Department of Defense and National Institutes of Health. The overall mission of the Patient Advocacy Hub is supported by the AUA Research Council, of which the members play an active role in attending events and participating in key research discussions.. These key partnerships (cultivated at the Patient Advocacy Hub) demonstrate the Urology Care Foundation's commitment to incorporating the patient perspective into research advocacy messaging. It generated momentum to build from past accomplishments that included securing funding for bladder cancer research in the Defense Appropriations Act of FY 2016 and FY 2017. Women's Health – 9:00 a.m. Sexual Health – 10:00 a.m.
Men's Health – 11:00 a.m.
Kidney Health – 12:00 p.m.
Bladder Health – 1:00 p.m.
Prostate Health – 2:00 p.m.
We encourage the submission of employment opportunities in urologic research—trainees and faculty only—to be posted in our next issue, which will be released this December. Submission is no guarantee of publication. Please contact the AUA Office of Research with any questions. Eureka! is a bi-monthly email newsletter that contains urology research news, funding opportunities and updates from the AUA Office of Research. View the most recent issue! You can make a difference by making a tax-deductible gift to the Urology Care Foundation. Whether you are conducting research or trying to stay up-to-date on the latest breakthroughs, membership in the AUA provides the tools and resources to support your professional mission. Membership categories specifically designed for researchers are available. Learn more about becoming a member today. Did We Miss Something? If you have any suggestions for urologic research-related content or are interested in contributing information from your own organization or institution, please contact us.